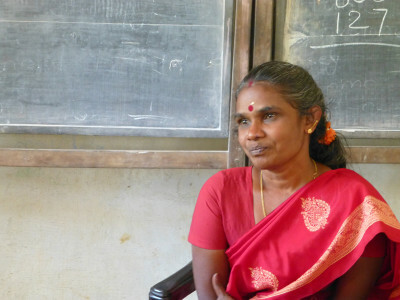 S. Vijaylaxmi: a wonderful teacher, severely underpaid, heavily overworked, but dedicated to her flock. But this isn’t just any place. It’s the single-teacher Integrated Tribal Development Project (IRDP) school in Edalippara. 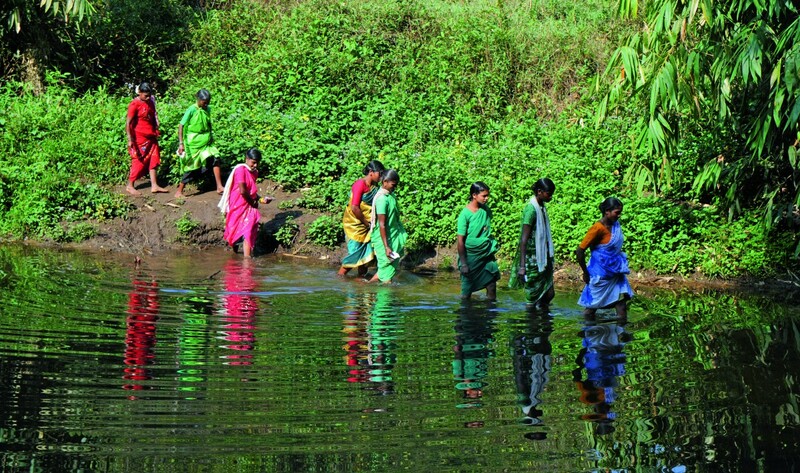 It’s located in Kerala’s remotest and only tribal panchayat, Edamalakudi. And nowhere outside the school can you hear English spoken. It’s hard to find any boards, posters or even signage carrying that language. Yet it was, the children said, their favourite subject. Like many other schools, this one in Idukki district runs Classes 1-4 combined in a single room. Headed by a truly wonderful teacher, severely underpaid, heavily overworked, battling impossible conditions, but dedicated to her flock. It was so nicely sung, exalting a humble tuber we weren’t sure they’d ever consumed. (Maybe we were wrong. A couple of villages near Munnar are said to have begun potato cultivation. They would be about 50 km away). But the lyric stayed with us. Weeks later, most of us still hum the song. Not because we’re lovers of the super spud — which all eight of us, I think, are — but because they just mesmerised us with that crazy, but seriously-delivered lyric. And with that utterly charming performance.